In the last few years, there's been a slew of make-your-own pizza eateries that have popped up all over Los Angeles. The formula is the same. Stand in line, pick out your items in a Chipotle-esque style, and then retreat to cafeteria-like seating in 90 seconds. The pizza crust at most of these places is so thin it's almost like eating a cracker or a crispy pita bread with loads of toppings as opposed to an actual pizza. 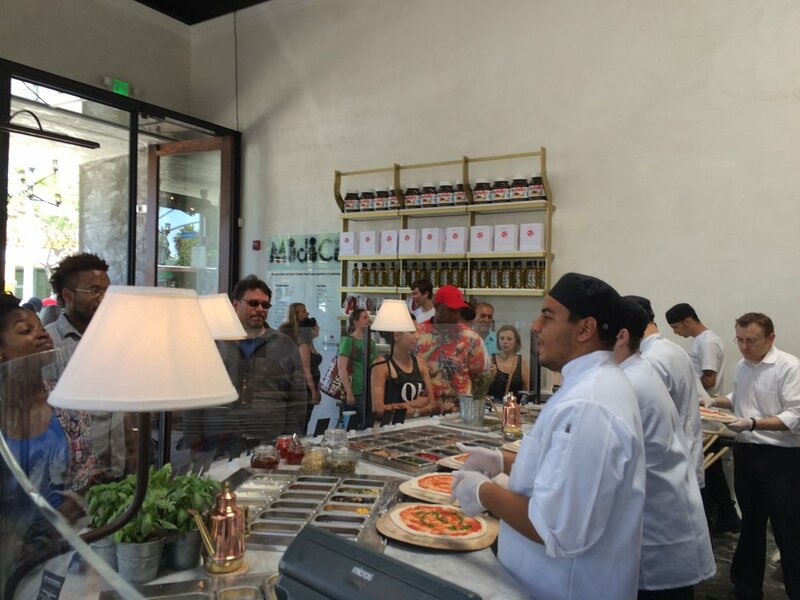 You can imagine my apprehension when I was invited to preview MidiCi in Sherman Oaks for their grand opening of their first location. Should I go? But it was Menchie's Frozen Yogurt CEO Amit Kleinberger's latest project! When someone like Kleinberger unveils a new concept, you know you have to go. Let's just say I was very pleasantly surprised. 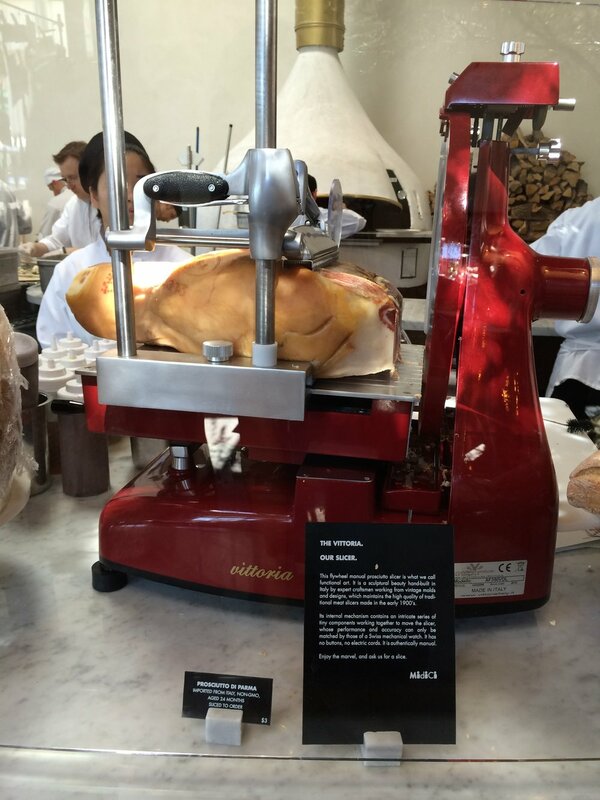 MidiCi just raised the bar! How gorgeous is their 21-foot olive tree? It's definitely the centerpiece of the restaurant. The ingredients are very high quality, organic, non-GMO, and imported from Italy. It features a clean, minimalist decor, curved open kitchen bar, and a special imported wood-fired oven. MidiCi's pizzas are personal twelve-inch pizza pies that start off at $7. Unlike other make-your-pizza eateries, they also have a great selection of beer, wine, and wood-roasted coffee choices. The dough is made with only four ingredients-non-GMO double zero flour imported from Naples, pure water, sea salt, and live yeast. The toppings include crushed non-GMO Italian peeled tomatoes, "white gold" buffalo mozzarella, fresh whole mozzarella, and organic, non-GMO, Italian extra virgin cold-pressed olive oil. 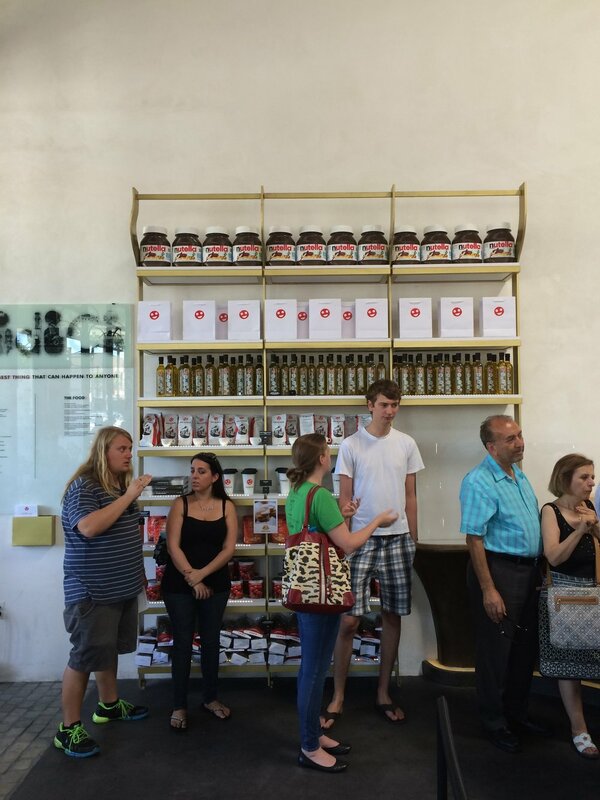 Anywhere that has a wall filled with Nutella is good with me! They also sell their wood-roasted coffee and cold-pressed olive oil. 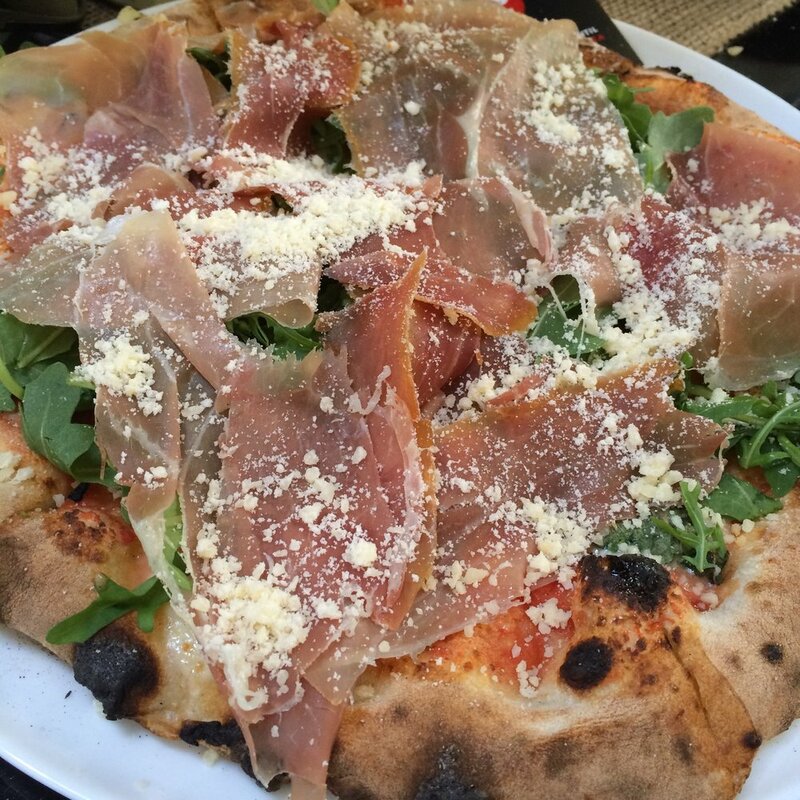 I ordered a Prosciutto pizza to try as well as their most popular Margherita Neapolitan Pizza all baked within 90 seconds baked in their traditional wood-fired ovens. The pizza was tasty. The crust was doughy and pillowy. The ingredients tasted fresh and delicious. It has my seal of approval. 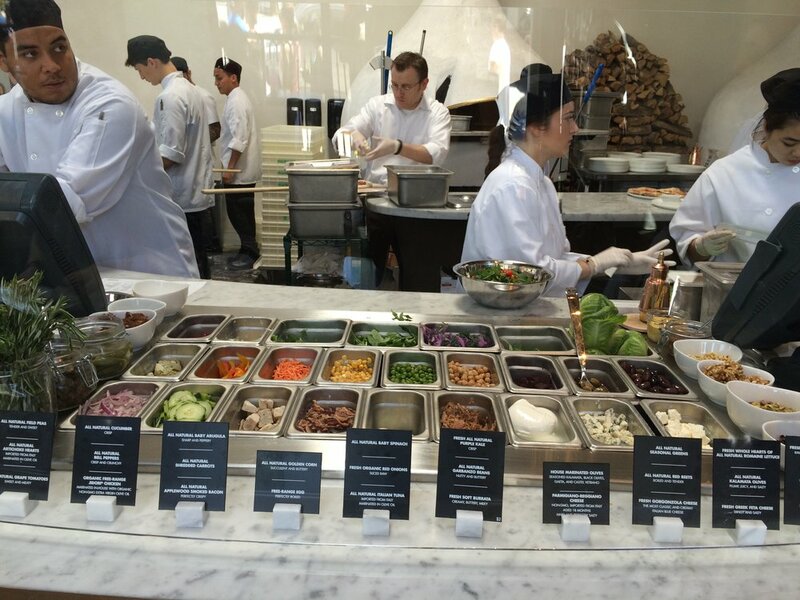 MidiCi also has appetizers like burrata, fresh Neapolitan salads, gelatos, and a Nutella calzone. This is the first Midici location. Kleinberger's concept already has franchisees lined up. He has plans to build a couple thousand stores in a decade or less. 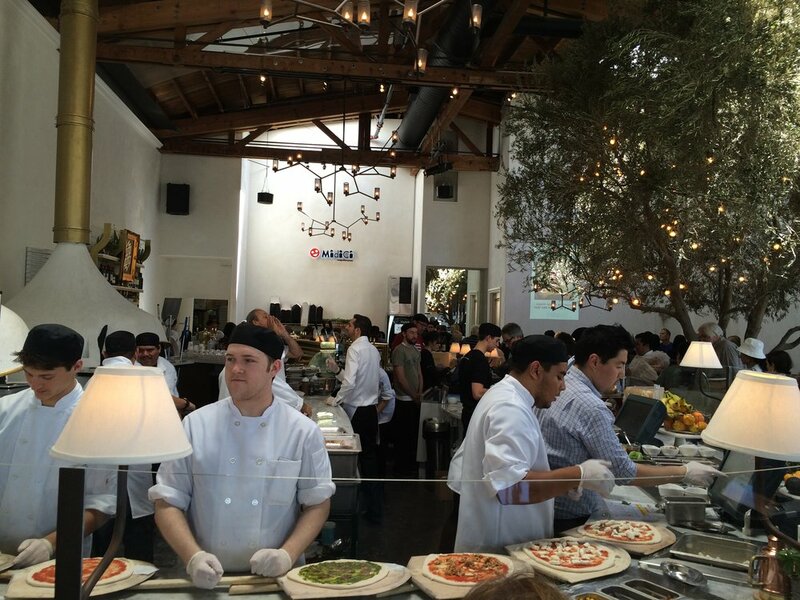 If you like Neapolitan pizza, MidiCi is worth a try!